Urbatek receives the twenty-third PORCELANOSA Grupo Exhibition edition by creating a space for inspirational professional architects and interior designers. 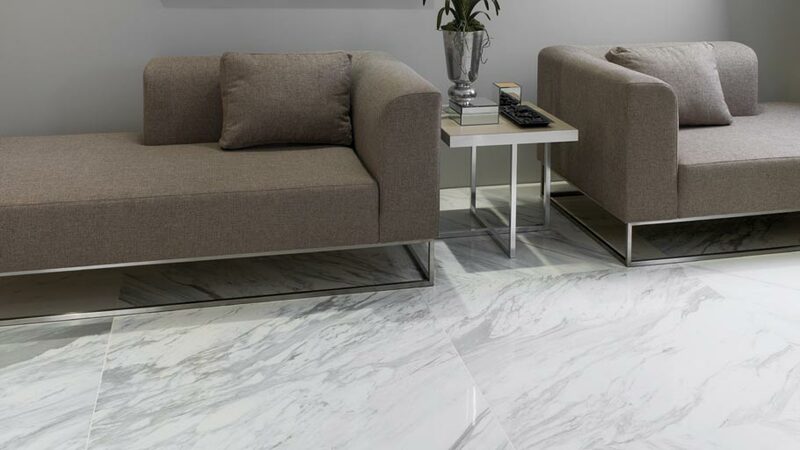 The firm combines versatility, quality and character in order to present their innovations in both floor and wall tiles, among which the new polished through-body porcelain polished marble effect tile series can be found from the Marble collection. Commending once again the undisputed taste and refinement of the marble finishes, Urbatek comes up with the magnificent and glittering Marble Collection as a technical project in a high quality full body porcelain with large size format: 119x119cm. A sublime collection for a design which, due to the large size of the piece and the high quality of its finish, enable the reducing of the total number of joints which achieves both a precise and consistent installation. In four different colours, all characterized by its many details in different graphs, the Marble Collection is an ideal project for installing in indoor spaces with high demands and high traffic. 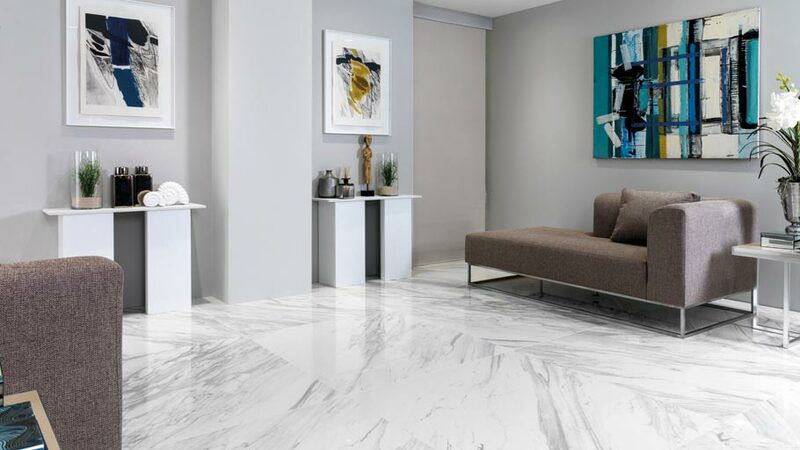 This new polished porcelain tile collection is capable of bringing elegance and distinction to areas of high traffic, such as commercial buildings, shops, hotels, restaurants, offices and public buildings, ensuring both ultra-resistance and easy cleaning. The tones and finishes in which it is available, and which are supposed to be one of the star attractions at the 23rd Exhibition are: Marble Silver; Marble Calacatta; Marble Bianco and Marble Marfil. Urbatek, always ahead in innovation, uses the 23rd Global Architecture Exhibition as an excellent opportunity to present its new projects from the very latest technology. Following the trends and being a benchmark for quality and high performance in porcelain tiles and extra-slim ceramic sheets for coatings or facades; the company promotes dialogue between professionals and favours the realization and conversion of any project into becoming a reality.